here is how its done with pics. 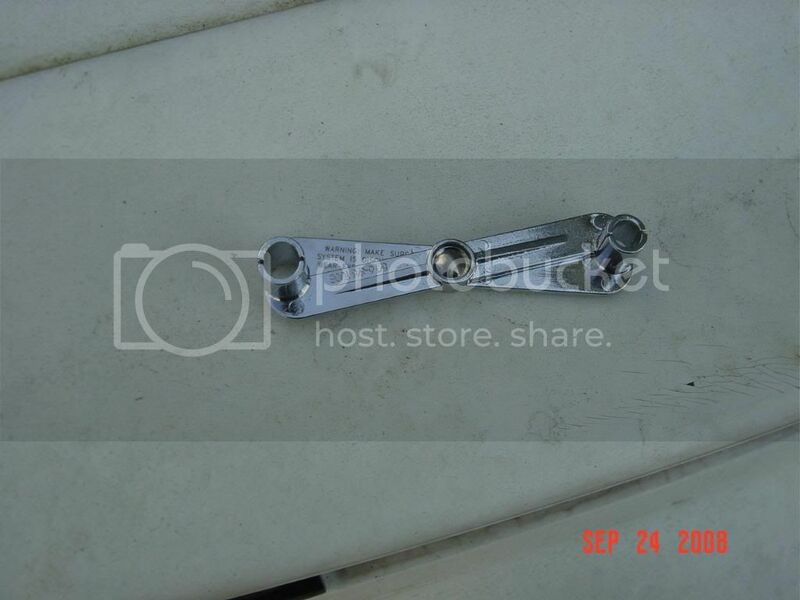 fuel line disconnect tool avilable at most autoparts stores. First disconnect the negative battery terminal. Then remove the air cleaner box and the decorative engine cover. Remove the strut support bar. take out the rear spark plug wires. Drain the Radiator in to an appropriate container!!!!!!! 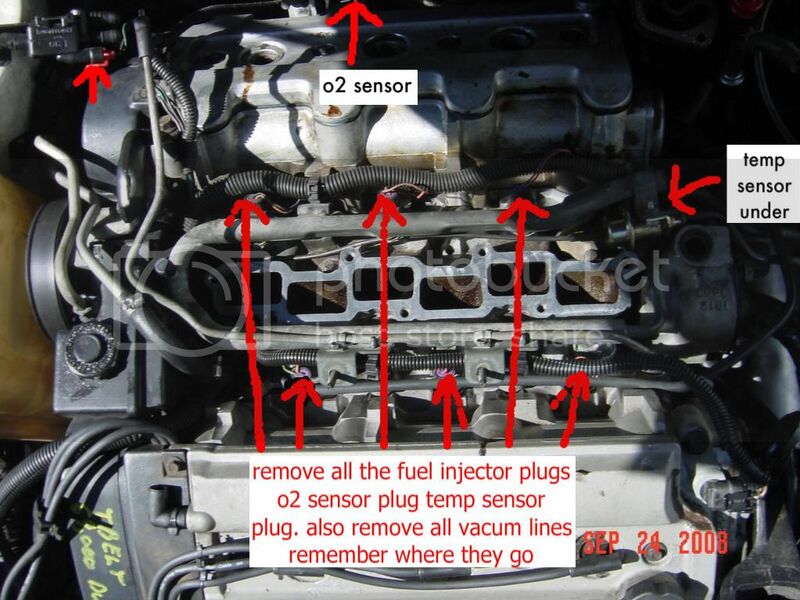 remove all electrical connectors, throttle cables, fuel lines and unbolt the egr. 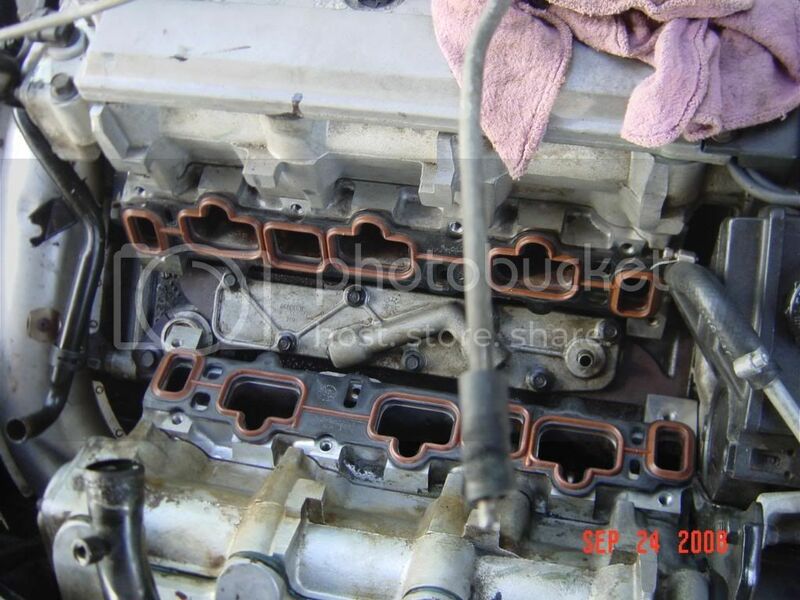 remove the 7 bolts on the intake plennum and the hose below the intake the upper plenum should then come off. next remove all the electrical connections and vacum lines you can see the wireing harness will be able to be removed if done properly. Now lift the lower intake off and clean all the maiting surfaces . It is also a good time to clean out your intake take a few cans of carb cleaner or brake and parts cleaner and a small wire brush and clean it all up it will help air flow. If you want to get crazy now would be a good time to port and polish your intake. Now simply reverse the procedure to reinstall. 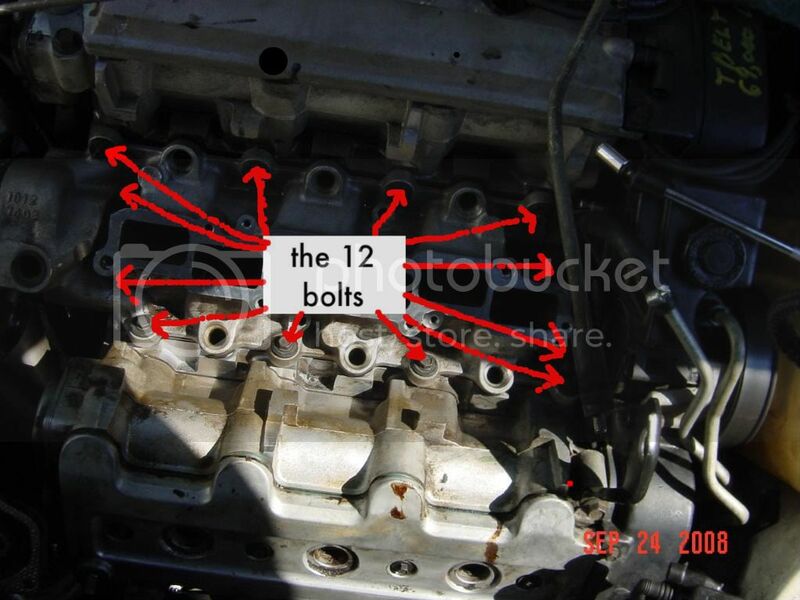 you should retorque the intake bolts to 24 foot lbs. Then follow the standard bleeding procedure for refilling your radiator. If done right this is an aprox 3-5 hour job I did mine in less than 3 hours. Awesome, this should be a sticky. There is no reason for the fuel line disconnect tool. Pop out the injectors and swing the rail out of your way. 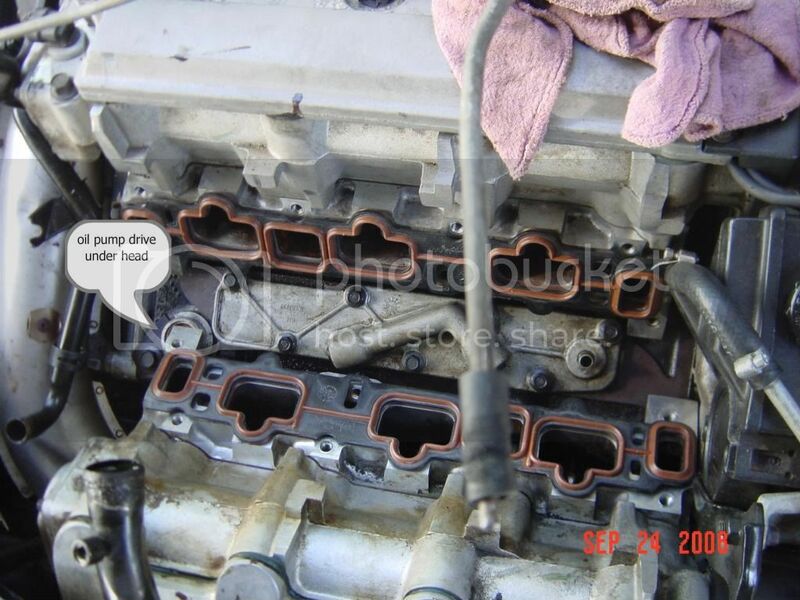 And you don't really need to drain the coolant much, the miniscule amount that comes out isn't worth it. I like to clean everything so taking out the rail was no big deal I have the tools so I poped it out. When the rail is out of the car you can also clean your injectors and not have it flopping in your way. you dont have to drain the coolant but it just makes things that much easier when you are in there it is nice to have the coolant drop into a drain pan instead of your driveway. I actualy took the pics when I put the motor back together it was really dirty before. the pics are in reverse order. Should definitely be a sticky. I'm big on cleaning stuff too, so taking a few extra things off to clean is a good thing. Makes reassembly neater and cleaner. Plus I like the engine compartment as clean as the rest of the car. If you do your own work, you can never have too many tools. You'll need them sooner or later. Thanks actualy called an oil pump drive and in order to change it on a 3.4 you need to remove the rear head. that is an awful lot of work. THANK YOU for that picture. I have a much better idea of how to go about half-assing my oil-pump drive seal now. clean it up realy good and put some high temp rtv around it. they were realy easy to change on the 2.8 and 3.1 but i will do my best to never change one again on a 3.4. Gotta do my o-ring seal BADLY.....My LIM, UIM, and valve cover gaskets are brand new.......but that shaft is spewen oil...........didnt really realize how horribly bad its gotten until today when i was vacuming the car out....and noticed that when driving.... the oil that leaks down blows back onto the floorboard......and somehow, the carpet area behind my driver seat is SOAKED in oil.......and i have never spilled oil inside that car........if i carry new or used oil........it goes in the trunk. Someone told me that if u pull the shaft out an inch or so........clean it w/ brake parts cleaner... and take an old o-ring seal from a 9007 light bulb....and put it around the shaft....put some silicone around it... set it back down.....and let dry, it should take care of it........the person that told me this did it to his old 92 Z-34 he used to have........and it never leaked a drop after that. I need to do that to mine. I will probably do all my gaskets and spark plugs before winter comes and I will probably do this then. 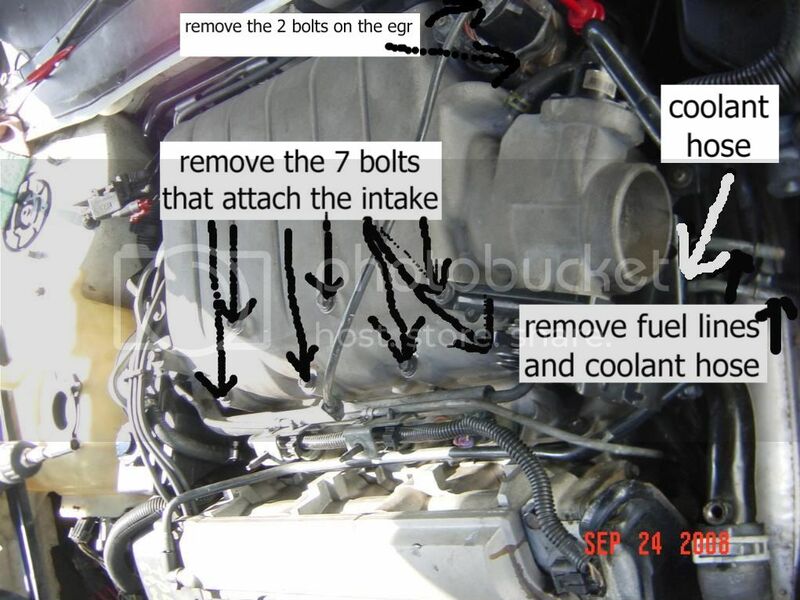 I'm going to attempt this ASAP to fix my Z34. Thanks for the info! Just wanted to note: there are two nuts to remove on the upper plentum, in addition to the 7 bolts. Don't wait it isn't worth tearing up your lifters and causing other damage if it gets to low. I did the brake cleaner, brown o-ring, RTV fix on my engine and it's still dry 5 years later. It would also be a good idea to stuff clean rags into the ports to keep debris from entering the cylinders while the intake is off. It doesn't pull up very much at all. Maybe like 1/8 inch. the best way to clean under it I found was to soak some thick string in solvent/mineral spirits and work it around the thing... tedious cleaning job around there but once you do that then you can re-seal, I just crammed some high-temp RTV under it best I could and spun the cap to work it around, put a bit more in, spun cap, and put the clamp back on. Seems to be holding nicely for now. If you have to pull the heads for whatever other reason night as well fix it properly but the above rig seems to do nicely for a while.